Cool, refreshing and completely delicious! 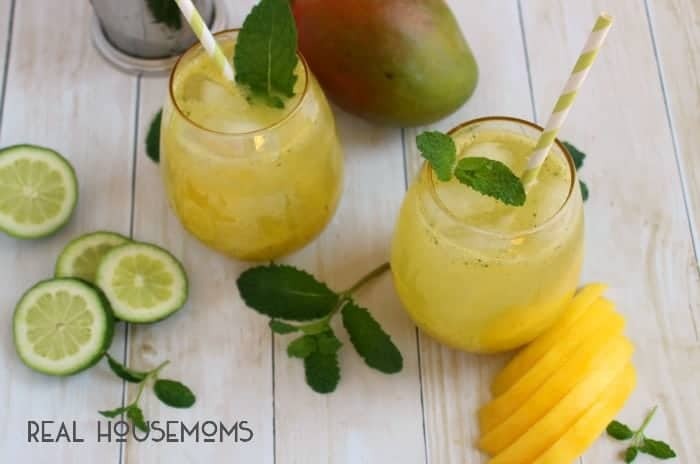 These Mango Mojitos are the perfect drink to enjoy with friends during cocktail hour! Hello, everyone! My name is Erin and the author of Delightful E Made! I’m one of the new contributors here at Real Housemoms, and am thrilled to be bringing you some of my favorite “Delightful” treats! This Mango Mojito is one of my new favorites! Now that spring has finally arrived, I’m always up for a great cocktail, especially when the weather is nice enough to enjoy it outdoors. 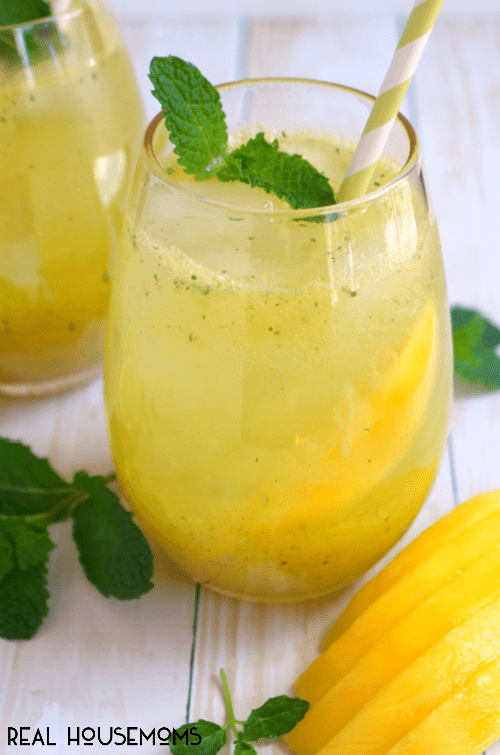 These Mango Mojitos are the perfect libation for when you want a cool, thirst quenching drink with the freshness of mint and fruit! If you’ve never tried mango in a cocktail before, it definitely needs to go on your bucket list! The sweet, floral flavor tastes like it was meant for a mojito! It pairs perfectly with the fresh mint and lime juice, making it wonderfully refreshing! Normally, when making a mojito, you would muddle (crush with a muddler) in a cocktail shaker. You can certainly do this, however, I’ve had greater success with making a mango & mint puree in my blender. The consistency seems to work well in the cocktail, and it mixes well rest of the cocktail ingredients. 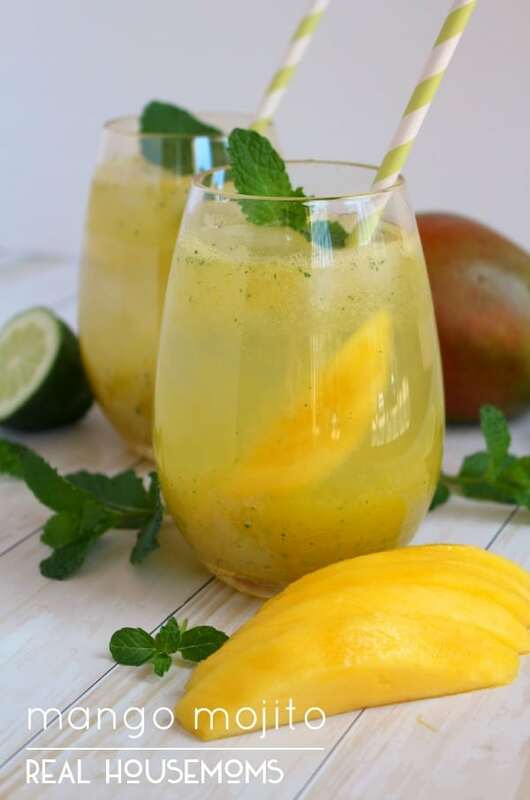 Topping the drink with a fresh sprig of mint and a slice of mango finishes of the drink perfectly! Cool, refreshing and completely delicious! 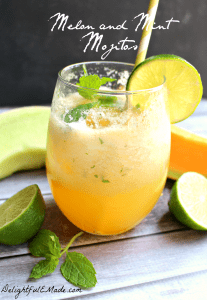 These Mango Mojitos are the perfect drink to enjoy with friends during cocktail hour and fantastic for Cinco de Mayo! In a blender, pulse the mango and mint leaves until roughly pureed. In a cocktail shaker or mason jar, add ice cubes, mango puree, rum, simple syrup, and lime juice. Secure lid and shake vigorously. Pour mixture into two glasses with additional ice, and fill the remaining glass with club soda. Top with mint sprigs and extra mango. Enjoy right away! 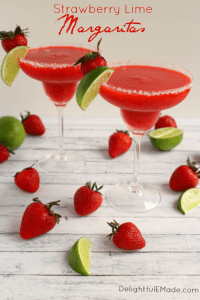 If you liked this cocktail, I would love for you to come check out some of my other drink recipes at Delightful E Made!